WASHINGTON (AP) — Now an elder statesman, President Barack Obama was returning Tuesday to the city where he launched his unlikely political career for one final speech: a parting plea to Americans not to lose faith in their future, no matter what they think about their next president. Obama’s final speech as president, before thousands who will gather at Chicago’s McCormick Place, is his last chance to try to define what his presidency meant for America. 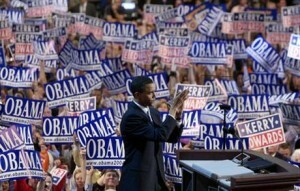 It’s a fitting bookend to what he started eight years ago. 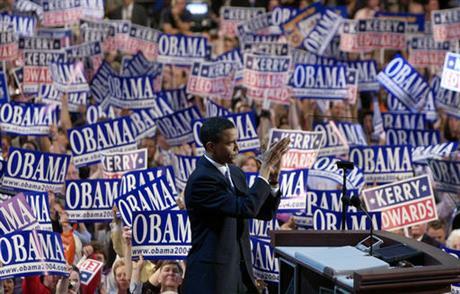 It was in Chicago in 2008 that the nation’s first black president declared victory, and where over the years he tried to cultivate his brand of optimism in American politics. The president departed Washington in the late afternoon joined by an array of long-serving White House advisers and people from his past, including sister Auma Obama from Kenya. First lady Michelle Obama, daughter Malia and family friends came along for what the White House said was Obama’s 445th mission aboard Air Force One. Obama has said he’s leaving his eight years in office with two basic lessons: that Americans are fundamentally good, and that change can happen. “The system will respond to ordinary people coming together to try to move the country in a better direction,” he said ahead of the speech. The system did respond, in November, to Americans who by and large rejected Obama’s policies by electing Republican Donald Trump. Obama and Democrats had warned against a Trump presidency in apocalyptic terms. So now Obama’s daunting task — the closing act of his political career — is to explain how his vision of America remains relevant and achievable for Democrats in the Trump era. Determined not to simply recite a history of the last eight years, Obama directed his team to craft an address that would feel “bigger than politics” and speak to all Americans — including those who voted for Trump. His chief speechwriter, Cody Keenan, started writing it last month while Obama was vacationing in Hawaii, handing him the first draft on the flight home. By late Monday Obama was immersed in a fourth draft, with Keenan expected to stay at the White House all night to help perfect Obama’s final message. Vice President Joe Biden and his wife were also traveling to Chicago for the speech at McCormick Place, a sprawling convention center along Lake Michigan. For Obama, it will be his final trip aboard Air Force One as president, though he’ll use the plane to depart Washington for an unspecified destination next week just after Trump is inaugurated. In his hometown of Chicago, the prospect of witnessing Obama’s last presidential address brought thousands out in single-digit temperatures over the weekend in hopes of securing tickets. They showed up well before sunrise and waited in lines that stretched for blocks. Though he and his party were dealt a devastating blow in November’s elections, Obama leaves office as a relatively popular president viewed favorably by 57 percent of Americans, according to an Associated Press-NORC Center for Public Affairs Research poll released the day before his speech. That puts Obama on par with former President Bill Clinton’s popularity as he left office. Yet Americans remain deeply divided over Obama’s legacy, with fewer than half saying they’re better off eight years later — or that Obama brought the country together. Two in three Americans said he didn’t keep his promises, though most of those Americans said he tried to, but could not. “He acted very presidential, but he just couldn’t get things done,” said Dale Plath, 86, a retired sales manager from Mason City, Iowa. He said he voted for Obama the first time, voted against him the second, and this year, Plath said: “I voted for change, frankly” — in the form of Trump.